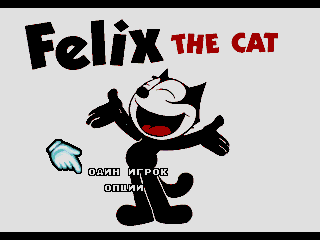 Romhacking.net - Hacks - Felix the Cat: Blank Game Over Screen. Felix the Cat: Blank Game Over Screen. This is a simple modification of the Felix the Cat bootleg for the Sega Mega Drive. This game gained notoriety due to it’s game over screen which depicted Felix tearing off his face in a gory manner. This modification has removed the offending image and replaced it with a simple blank screen.